I’m delighted to be able to share that I will once again be offering CBI’s Journey Into Judaism class in the coming Jewish year, in association with the Miller Introduction to Judaism program. What is CBI’s Journey Into Judaism class? Some people call this a ‘conversion class,’ and it can serve that purpose. Last year some who took the class were not Jewish when we began and chose to become Jewish by the time we finished! And, it doesn’t have to serve that purpose. You are welcome to take this class if you are already Jewish and “just” want to learn more about our traditions. And you are welcome to take this class if you are considering choosing Judaism, even if you don’t ultimately decide to “take the plunge” and join the Jewish people at the end of the year. We’ll meet two Tuesdays a month from 1-2:30pm at CBI. Over the course of the year we’ll meet eighteen times, starting on the Tuesday of Sukkot week (September 25) and culminating on the Tuesday before Shavuot (June 4). We will use the same textbook we used last year, and will once again augment it with outside reading, hevruta (paired) study, field trips, and experiential opportunities. If you are interested in taking part, please let me know as soon as possible so that I can order you a textbook, add you to the class email list, and send you the dates of our meetings. Last year’s Journey Into Judaism class was a profound gift for me and, I think, also for the students who took part. I can’t wait to begin the new Jewish year by diving into this learning with y’all again. Do you want to learn more about Judaism? Great! Announcing a new Introduction to Judaism class at Congregation Beth Israel: a new program in Jewish engagement for everyone regardless of religion or background, offered in partnership with the Louis & Judith Miller Introduction to Judaism Program at American Jewish University. Free for CBI members; $60 for non-members. 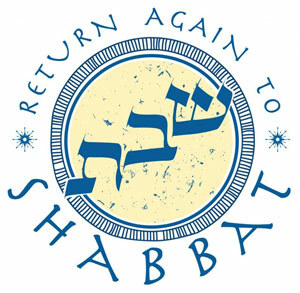 To sign up, contact rabbibarenblat@gmail.com. The required textbook is $20; let the rabbi know if this is a hardship. I look forward to learning with y’all!